Do you remember the recent radio installation by Michael Wakefield at Fogomaiyu? Well, their radio has been in good use since then. 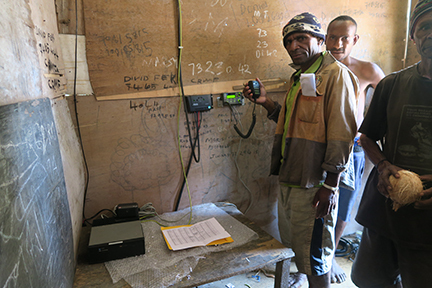 On Monday afternoon, Christian Radio Missionary Fellowship received an emergency call over the HF radio from the remote community of Fogomaiyu in the Southern Highlands. They were requesting a medevac for a pregnant woman who, several days after her water had broken, still hadn’t given birth. She had trekked for an entire day to reach the nearest means of communication, an HF radio that Michael Wakefield (CRMF General Manager) had installed just last November. 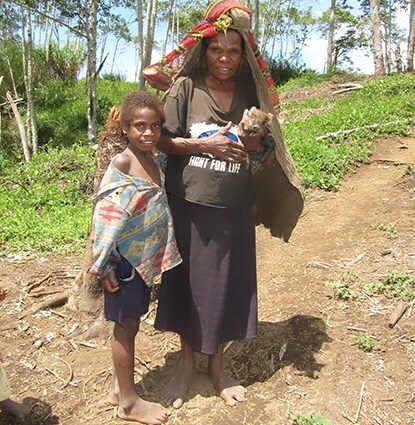 The woman had been experiencing a lot of discomfort and, worried, set off Sunday together with a few relatives, her concern easily understandable in view of the high maternal and infant mortality rates in Papua New Guinea. Upon the woman’s arrival at Fogomiayu, the radio operator contacted CRMF, asking if we could organize a medevac. 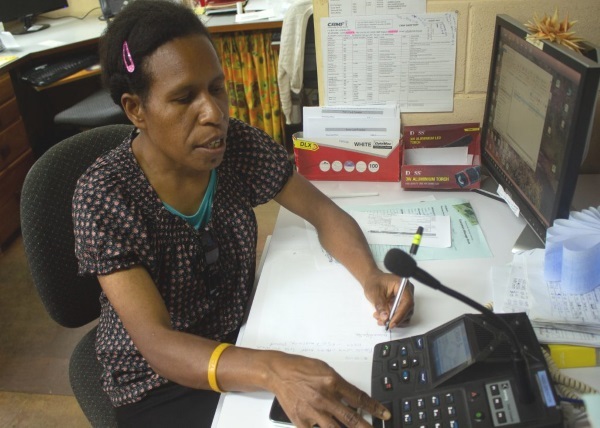 Justina and Sussan, two of CRMF’s staff members, communicated with Pacific Helicopters (a flight service company mainly working with mining industries within PNG) and the Moro health clinic, located in the adjacent Hela Province, to coordinate the pregnant woman’s removal there. That same day, she was successfully airlifted out to the clinic, where she remains under needed care until giving birth. This was not the only medevac which CRMF had arranged recently with Fogomaiyu, however. In the less than two months since their radio has been installed, we have already organized two medevacs with the community, the first one being for a young boy who had lost all the fingers on one of his hands during a machete accident earlier this month. 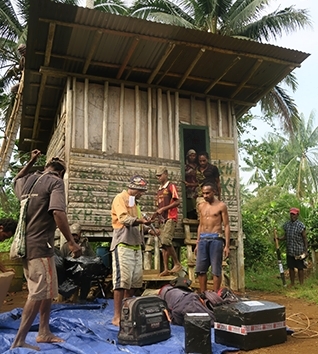 Without Michael’s radio install in November, both of these injured people would have faced a much more daunting and dangerous journey in order to reach aid, with no guarantee of surviving the trek—a haunting reality for too many in PNG’s remote locations. Because of this, we are very thankful for the help we were able to offer in organizing these medevacs and ask for prayers for the continued recovery of both patients.